Many think the history of light bulbs began with Thomas Edison. But, it did not. Edison created the first long lasting light filament that lead to developing practical incandescent lamps. Edison built on the research done for almost 80 years before he patented his carbon filament. Sir Humphrey Davy created the first incandescent light in 1802 with a platinum filament. Sir Davy was also the first to develop an arc lamp in 1809. In 1835, James Lindsay produced a longer lasting incandescent light in Scotland. The first patent for an incandescent light bulb went to Frederick de Moleyns, an Englishman, in 1841. The first American with such a patent was John W. Starr in 1845. As the 1870s opened, many inventors started working on improving the existing technology. A Canadian team, Woodward and Evans, patented a new lamp in 1874. During the same time, an Englishman, Joseph Swan, was working on improving vacuum tubes and their use in lighting. He received a patent, in England, for his work in 1880. Edison worked in this same time frame. At this point in the history of light bulbs, they were on the brink of becoming useful. Edison’s challenge was not to invent the light bulb. When he started work in 1878, his goal was to create a practical light bulb for general use. Before, these bulbs had been in laboratories only. Edison experimented with several filament materials. He found that carbon was the most promising. On October 22, 1879, Edison and his laboratory assistants successfully produced a light bulb which burned for 40 hours. On November 4 of that same year, he applied for a patent. That famous patent #223898 outlines his carbon filament and platina contact wire configuration. That patent is the most famous in the history of light bulbs. Continuing experimentation found that carbonized bamboo offered up to 1200 hours of illumination. After Edison’s invention spread, many other inventors started working to improve his design. By 1906, General Electric Company developed a filament based on sintered tungsten which provided longer life than anyone else’s invention. Light bulbs continued to develop throughout the 20th century. For example, fluorescent lighting had its origins in 19th century experimentation much as incandescent did. But fluorescents did not become practical until 1900 or so. Today there are multitudes of technologies available or currently under development in lighting. 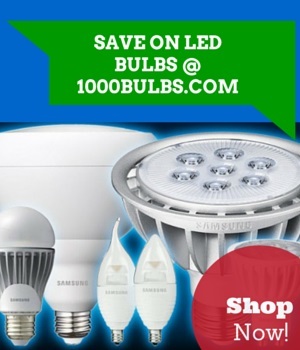 The history of light bulbs continues evolving today and will continue into the future.